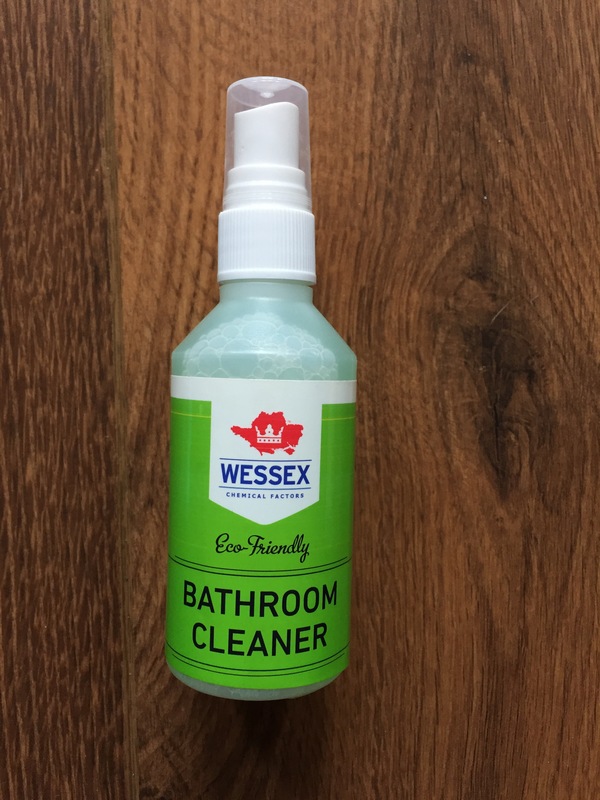 We recently reviewed Blue Bio Toilet fluid from the Wessex Cleaning Product range. In the packaging three sample products were included. Here’s what we thought of them. 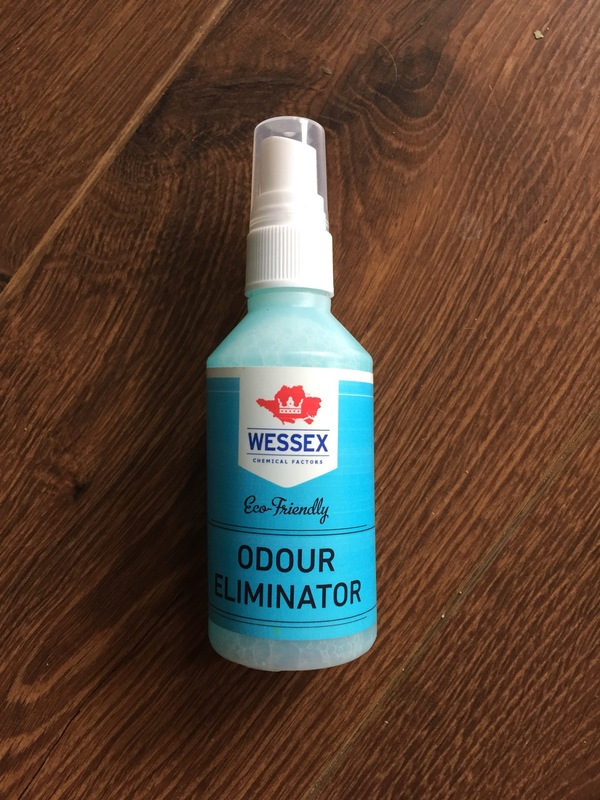 We originally intended Odour Eliminator for using in the caravan but got the chance to use it at home first. One cat with a poorly tummy using the cat litter = a smelly house. We simply removed the litter tray, first things first, then set about with our bottle of Odour Eliminator. A few squirts and the house is smelling sweet again. It’s safe to use in or around any surface that wouldn’t be affected by water. So we happily sprayed without any concerns for carpets or furnishings. It isn’t an aerosol air freshener, sprayed directly onto areas where a child has had an accident or maybe spilt milk will prevent any future odours. Great in the caravan too after cooking curry, normally the smell lingers. Not this time – gone! Great for use in the bathroom too. To quote the science: it doesn’t just mask the smell it eliminates the source of the smell using bacteria to digest the organic material leaving behind no residue or stain. This Bathroom Cleaner is designed again for your Motorhome, caravan or other leisure vehicle. A nifty spray that does everything in the bathroom, no need for separate cleaners for the loo and the sink. The spray foams and sticks to the shower wall, a quick wipe and the surface is clean and soap free again. Same on the sink. After a few uses sinks can start to show tide marks. Quick squirt and a wipe and they’re gone! Designed for use on all hard surfaces in the bathroom, not to be used on fabrics though. It has a lovely fresh smell and contains no disinfectants or other harmful chemicals. To quote the science again: it contains a substance that is nature’s own weapon against viruses and harmful bacteria without destroying the good bacteria. 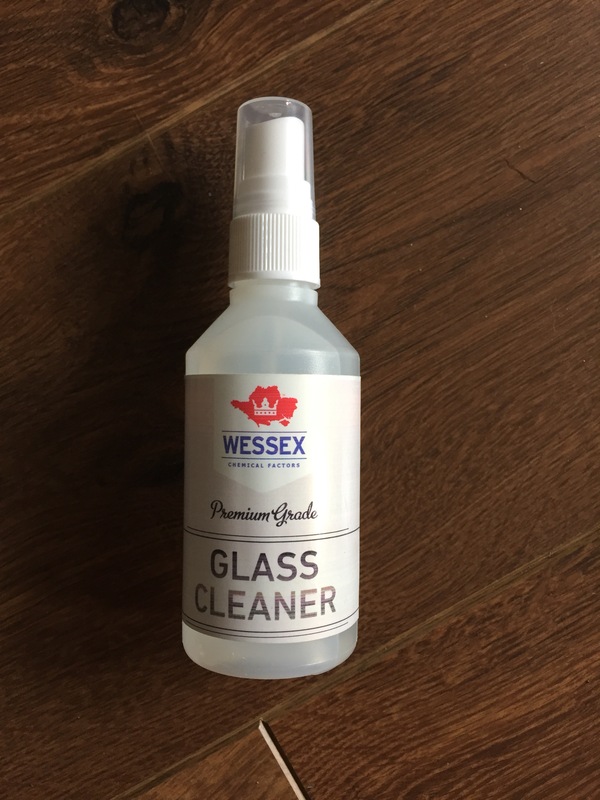 This Glass Cleaner is perfect for using on really dirty windows. We DID NOT use this on our caravan windows as they are not glass, possibly acrylic. After towing our caravan though on a particularly mucky day a few squirts of this and a non scratch cloth and the car windscreen was clean inside and out. Quick squirt on the stainless steel fridge too and another sparkly surface. No science with this it just does what it says on the bottle! Cleans glass with relative ease.